The Skin Agency. Photo by Daniel Deitch. Summer is here, and that means sunshine, surf, sand, swimsuits — and SPF! With all the fun and relaxation of spending long, dazzling days outdoors come some unique beauty challenges, so it’s a good idea to pay extra attention to protecting and nurturing your skin, hair and nails both before and after you hit the beach. Luckily, our neighborhood offers a rich array of spas, salons and specialized treatments to keep you looking radiant and feeling refreshed. When temperatures rise, it’s time to shove sneakers aside and grab a breezy, stylish pair of sandals for a day (or night) on the town — and the perfect accessory for cute footwear is smooth, polished feet. Periodic pedicures can help pull your summer looks together while controlling calluses and keeping skin moisturized under dry conditions. Toluca Lake’s own Oasis Nail Spa on Alameda offers a variety of manicure and pedicure options, ranging from basic 30-minute treatments to the 70-minute Oasis Signature treatment that includes a warm paraffin wax foot dip treatment to aid circulation, soften coarse skin and relieve joint stiffness along with callus softeners and more. For a more dramatic nail look for those summer party nights, Laqué Nail Bar in North Hollywood is the one-stop shop for nail art, including stiletto, coffin and almond-shaped acrylics or hard gels. Tamara Dahill Salon. Photo by Daniel Deitch. 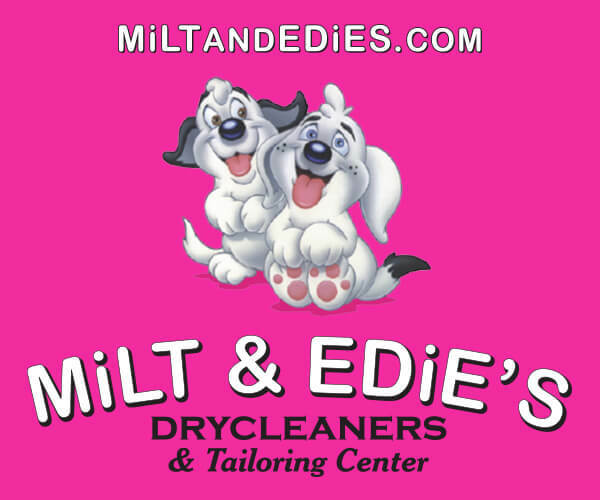 Summer is the season for fun styles and pampering vacations. It’s a perfect time to change your look to set a new trend or match your favorite beauty influencer (or just shorten your locks to stay cooler). But any beauty guru knows that bold hair changes require skillful upkeep. The highly trained stylists at the Tamara Dahill Salon in Toluca Lake specialize in hair care and color, which means they know the ins and outs of preventing and treating damage from harsh summer rays. 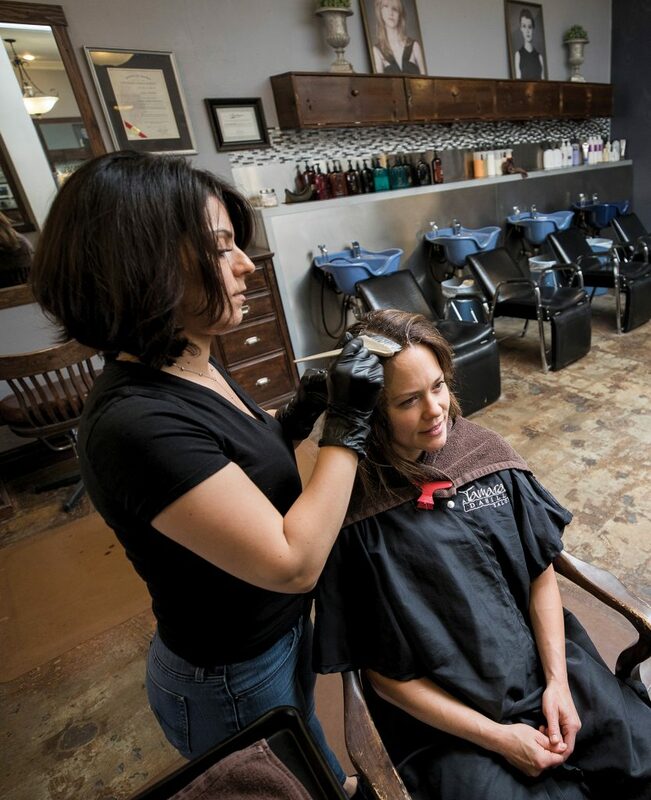 Lucy’s Hair Salon, also in Toluca Lake, promises sophisticated styling, cuts, coloring and waxing at reasonable prices in a relaxed atmosphere; their eyebrow threading service is especially popular with customers. The Blade Barber Shop. Photo by Daniel Deitch. 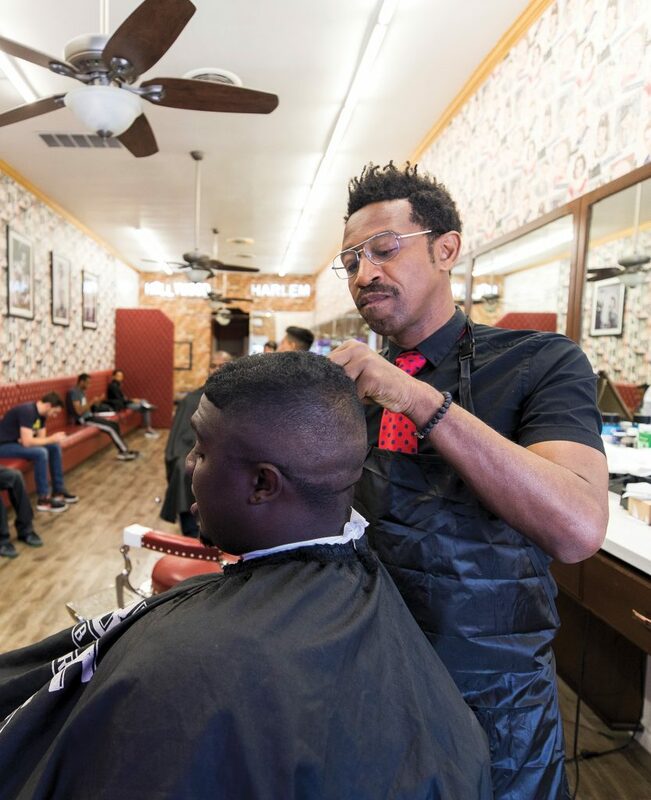 For old-school flair that’s still on the cutting edge, take a seat in an antique barber chair at The Blade Barber Shop in North Hollywood, which offers haircuts and grooming for men, women and children. From twists to afros to fades, braids and beards, the barbers are trained in a full repertoire of techniques and familiar with the unique needs of all types of hair. Even better, The Blade is offering a 20% off special for first-time clients all summer long. Now that you’ve got your nails perfectly polished, your hair in a fresh new ’do and that bikini you’ve been eyeing all spring in your hands, what’re you going to do about the hair you don’t want people to see? Body sugaring might be your answer. This age-old technique of hair removal, which utilizes a water-soluble sugar paste to quickly remove unwanted hair, is said to last longer than shaving or waxing, can reduce the chance of painful ingrown hairs and provides natural exfoliation. 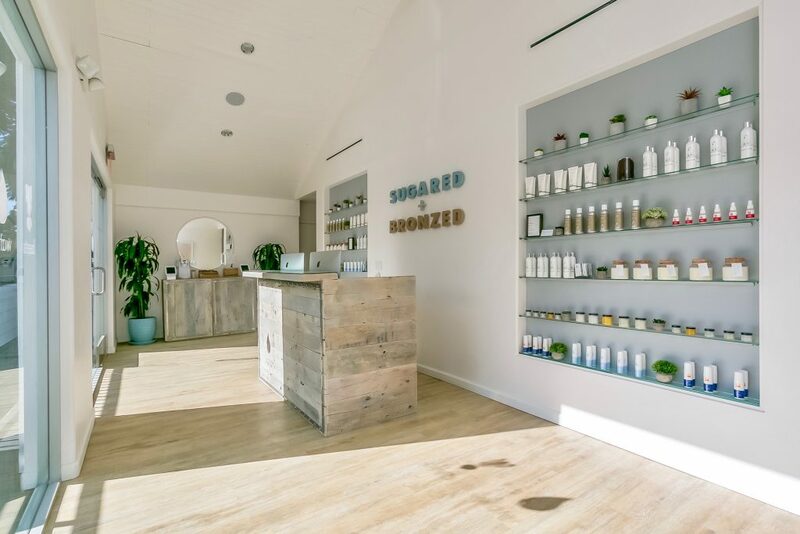 At Studio City’s Sugared + Bronzed, the licensed estheticians known as “sugaristas” are more than happy to help you get that renewed, hairless skin you crave. Sugared + Bronzed is offering a buy-one-get-one free special for Brazilian or bikini services, and also offers a special membership discount that allows clients to save up to 20% on treatments. To further smooth the transition from spring to summer, these deals apply to their airbrush tanning services as well. If you want a more permanent solution to your body-hair woes, laser hair removal may be what you’re looking for. This method destroys hair follicles through exposure to pulses of laser lights that target the pigment known as melanin to heat up the follicle while protecting the skin. Since each pulse takes only a fraction of a second and can treat about a quarter-sized area at a time, this makes for speedy hair removal. This summer, both men and women can enjoy the long-term benefits of laser hair removal from The Skin Agency in Toluca Lake, which offers an array of specials ranging from package deals of five facial hair treatments starting at $50 for women and $75 for men to bikini and half-legs for $65. It’s no secret: Weather in the San Fernando Valley is warm! The oven-like air can dry out your skin and the sun’s rays can damage it, so proper prevention and treatment are a must. If you’ve forgotten a few days of sunscreen and your skin is looking a little dull, burnt or parched, a facial from CC Skincare in Toluca Lake could be the ticket to restoring that summer glow. Each treatment is uniquely customized to a client’s specific skincare needs; additional services include microdermabrasion, acid peels, wraps, waxing and massages. It’s quite common to feel a bit worn down from heat, dehydration and exertion after spending a few days (or even hours) out in the sun. Le Jolie Medi Spa’s menu includes a little more than traditional skincare. In addition to topical skin and bodycare, they also firmly believe in beauty from the inside out. Special vitamin IV drips and shots can help a wide variety of ailments that may pop up throughout the season. A couple summertime favorites are their Vitamin B Complex IM shot, a combination of eight B vitamins administered to help give you a lasting energy boost, and the Vitamin C IM shot, a quick fix to give you smoother, clearer skin while improving damage caused by pollution and sun. No matter what change you want to make to your look this season, Toluca Lake and its surrounding neighborhoods have got you covered all summer long. Now let’s get out there and flaunt what we’ve got! Sarah Reyes is a Los Angeles-based writer and artist. When she’s not completely absorbed in the world of beauty and wellness, she’s traveling the country attending facial hair competitions and trying to find the perfect cappuccino.